Carol Danvers lands in the Marvel Cinematic Universe! See the latest from Marvel Studios on March 8! After Nick Fury summoned an unseen Carol Danvers at the end of Marvel Studios’ “Avengers: Infinity War” last year, Marvel fans from all over the world have been eagerly awaiting her debut in the Marvel Cinematic Universe. Last night, the red carpet premiere of Marvel Studios’ “Captain Marvel” took place and this morning, the reviews are in. Carol Danvers has finally arrived! Here is a spoiler-free roundup of what the critics are saying about “Captain Marvel.” But click at your own risk – the reviews may contain spoilers. Variety: "... [A] prequel that casts its gaze way forward. Yet in its sturdy and standard-issue way, it invests Carol Danvers with a heroic majesty and heft that moves her, as a presence, right to the forefront of the series. " Empire Online: "Carol Danvers’ final battle offers a radical message and becomes a powerful metaphor for what could happen if we stop waiting to be told that we are enough; if we stop believing the people who tell us we’re too emotional or too weak. 'Captain Marvel' says that, when we stop looking for approval, we can become literally godlike. This is not another cheap girl-power cliché; it’s an explicitly feminist apotheosis." IGN: "With a soundtrack packed full of vintage ‘90s earworms and a delightfully unselfconscious sense of humor, 'Captain Marvel' pulls off a satisfying introduction to the hero who may be our 'Avengers: Endgame' trump card." Black Girl Nerds: "'Captain Marvel' is ushering in a new era of stand-alone Marvel female Super Heroes that prove being human is cool but being a girl is even better." The Telegraph: "... [S]ince our hero this time is a heroine... it has a very different and fresh emotional resonance that’s seized upon by [Brie] Larson, whose terrific lead performance can be understated and self-questioning, yet also big on girl-boss attitude when it counts." CNET: "...'Captain Marvel' was worth the wait. It's two hours of pure female empowerment packaged with all the visual power you'd expect from a Marvel blockbuster." The Guardian: "Larson has the natural body language of a Super Hero: that mixture of innocence and insouciance, that continuous clear-eyed idealism and indignation combined with unreflective battle-readiness, all the things that give [Marvel Cinematic Universe] films their addictive quality." Polygon: "... 'Captain Marvel' is a propulsive, cosmic mystery that slowly but surely pieces together a new character — and then unleashes her in a most spectacular fashion." NY Times: " The protagonist’s costume will become a character in its own right. That protagonist — a tough and charming woman, in this case, determined to fight gender clichés at least to a draw — will be ready for a career of franchise clock-punching, along with the rest of us." Mashable: "... [A] rock-solid introduction to a new character — who, judging by her immense power, may just turn out to be the Thanos-killer that the Avengers need in ["Avengers: Endgame."] Just as the Marvel makers wanted, I left the theater pleased to have met Carol at long last, and eager to see her again." LA Times: "Not only did Larson train for nine months to get her strength to where it needed to be, she seems to embody her character completely, bringing her hopes, her spirit and her lively insouciance to life. To see her realize that the things that make her human and a woman are her strength, to see the joy she feels when she fully comes into her Captain Marvel powers, is a genuine pleasure." 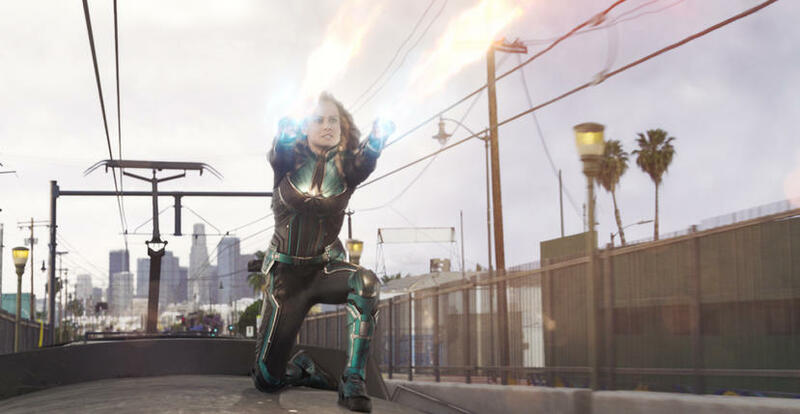 UPROXX: "The advertising for this movie doesn’t quite let on (a) how weird 'Captain Marvel' actually is and (b) that this movie is pretty much a full-on cosmic sci-fi film. I’m going to take a guess that it’s not going to be what most people are expecting. And, for the record, the surprise delighted me." 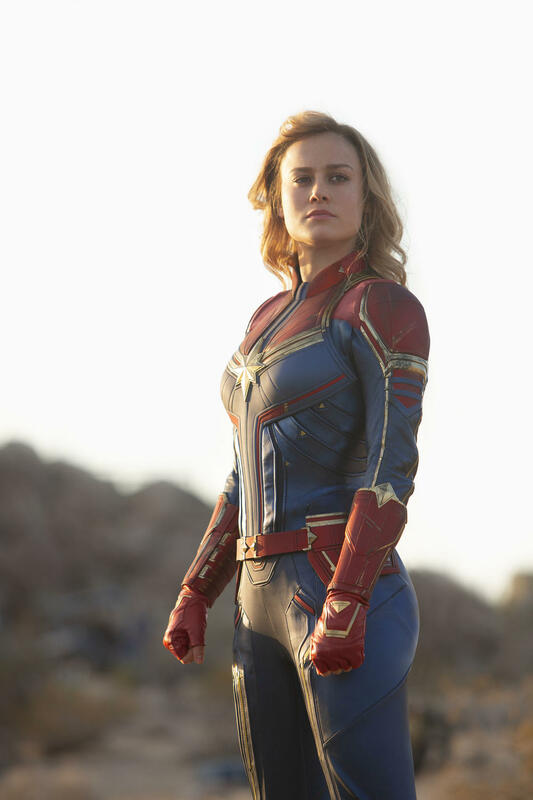 ET: "Above all else, 'Captain Marvel' is fun, in a way that Super Hero movies sometimes forget to be -- packed with rat-a-tat banter and Star Wars-worthy dog fights. The laughs continue, even through the most intense, flashy fight sequences, and the '90s music cues and pop culture Easter eggs are an added bonus as Carol battles for the greater good, rising to meet a galactic threat without any sort of obligatory romantic subplot to weigh her down. Thanos is going to need to up his game, because Captain Marvel is coming in higher, further, faster." Marvel Studios' "Captain Marvel" opens in theaters on March 8. It’s the seventh Marvel Studios movie to achieve this milestone, the 38th movie in history! 'Captain Marvel' is in theaters now!